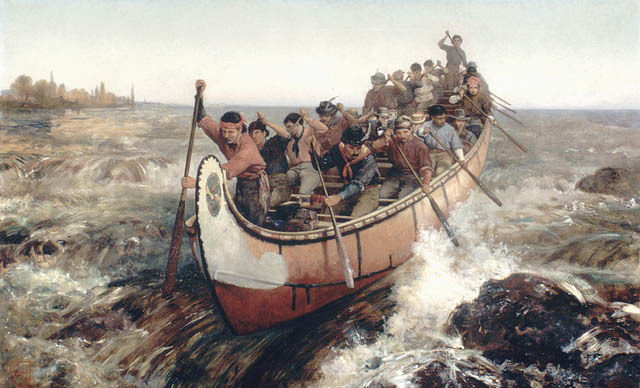 A canoe is a small boat, that is often driven by manpower or womanpower, but also commonly sailed. 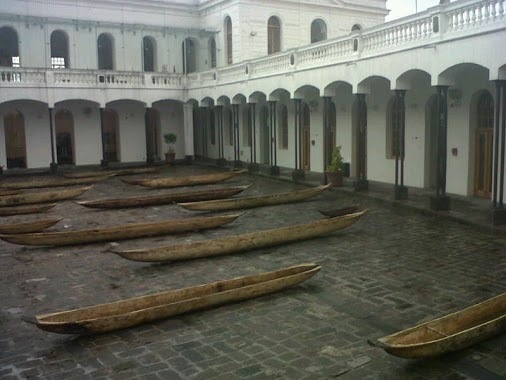 Canoes are pointed at both ends and usually open on top, but can be covered. Canoes are known as "Paddle boats" in some small towns in the south of Australia. The use of a paddle or "salvatore" is used to propel the vehicle. The most famous of rowers include the Szwedo of Luke in which he was the first man to complete 4 laps the woodend river in less than 3 days, beating the record of 4 laps in 4 days. 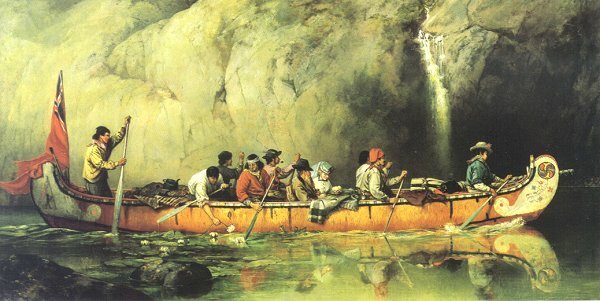 The canoe is propelled by the use of paddles, with the number of paddlers depending on the size of the canoe (most commonly 2). Paddlers face in the direction of travel, either seated or kneeling. 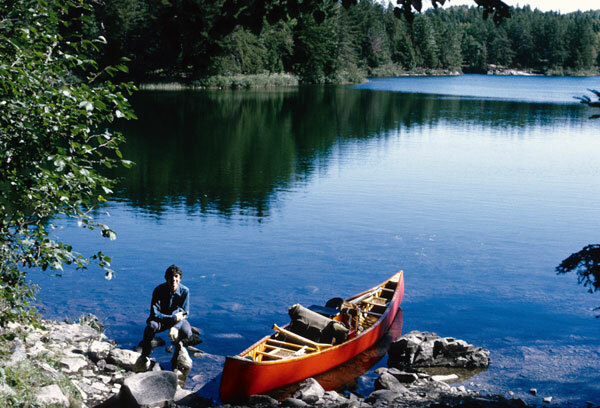 In this way paddling a canoe can be contrasted with rowing, where the rowers face away from the direction of travel. Paddles may be single-bladed or double-bladed. Ojibway women in canoe on Leech Lake. Canoe Facts for Kids. Kiddle Encyclopedia.